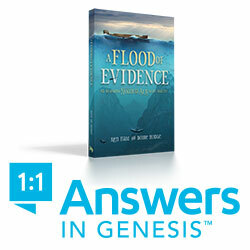 This post is going to be a review of the book by Dr. Norman L. Geisler and Dr. Frank Turek. 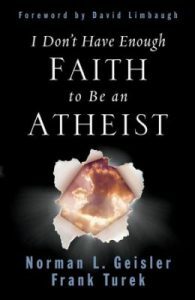 It will also be a blog about Apologetics. I was introduced to Apologetics and to this book a number of years ago when my husband and I took a class on Apologetics at the College of Biblical Studies in Houston, Texas. This was a semester long class and we were not taking it for credit but for our own knowledge, with no college credit expected. The word ‘Apologetics’ immediately causes one to think that a Christian is ‘apologizing’ for their beliefs just based on the sound of the word. That is not the case at all. The word apologetics comes from the Ancient Greek word apologia. In a trial to deliver an apologia meaning to make an explanation or rebuttal to charges brought against someone or in short to provide a ‘defense’. That is exactly what it means in Christian terms. A Lesson from Ecclesiastes 9 and 10 – Prairie Chickens! Yesterday Dr. Ed Young, presented a sermon on Ecclesiastes 9 and 10. We have been studying Ecclesiastes for a few weeks now, and I have to say it is a difficult book to study! Solomon must have been going through severe depression most of the time he was writing this book. Dr. Young, however, in his amazing ways to get our attention, likened man’s behavior (that’s men and women) at times to Prairie Chickens! 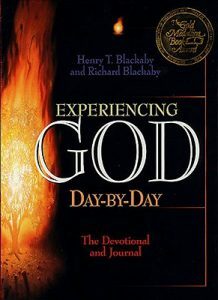 Over the last fifteen years I have used a number of Daily Devotionals to help me get in to my quiet time with the Lord. I have to say that there are many good ones, but to-date this has been my favorite I first had the small leather bound copy shown on the left. This size is great because it can be easily carried in your purse or laptop bag. It doesn’t take up much space . It has a soft leather touch and feels so good to hold in the palm of your hand. It is literally gives you a very intimate close feeling of being with God as you study His Word. I know you guys are laughing, but it is true! My oldest daughter actually found this devotional with the journal and was using it daily and she posted a few of the devotionals on Facebook and I was really taken with the Truth revealed through these writers and so I ultimately purchased this smaller version. I did the same. I read and studied and prayed through the devotional for almost a year and then decided to buy the one with the journal so I could make notes as I studied. I couldn’t find the leather version anywhere, so I bought the hardback and gave this smaller version to my youngest daughter. She is reading it everyday, and she, too, has shared many of the devotionals on Facebook! It is that good, my friends! The Blackabys write with grace and obvious spiritual insight. Knowing God’s Word requires daily study and meditation. These devotionals can help you with the discipline and perseverance to spend the necessary time in God’s Word to help you grow closer spiritually to the Lord. Although all daily devotionals seem to focus on one verse at the start of the study, you must not just stop with that one verse. To truly learn you need to delve deeper. At least read the verses immediately before and after the scripture, but better than that ready the entire chapter of the book. It is important to know the context of the scripture being studied. The Holy Spirit is your Teacher, and He will impress things upon your heart as you study and will reveal further what God wants you to know from His Word. 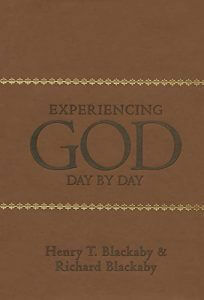 The authors wrote their Experiencing God book and Bible Study prior to writing these devotionals. 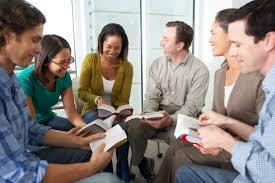 I am anxious to do the Bible Study as well. 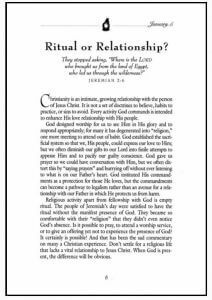 To the left here is an excerpt from the small devotional book without the journal. Check out the Books by Blackaby’s page under Shop on our website for links where you can purchase these books. I assure you will be glad you did. May God bless your Study of His Word and encourage you to draw near to Him every single day of your life. Share what you learn with your children, your family and friends and God will bless you! Please do submit a comment. We welcome your input! Have a blessed day! U.S. Embassy moves to Jerusalem from Tel Aviv – Why do Christians care? Happy 70th birthday to Israel! The embassy move is considered a birthday present to Israel by many who live there. 70 years ago on May 14, 1948 Israel became a nation again. This was predicted in scripture and now the nation of Israel is celebrating 70 years since the reestablishment of Israel as a modern nation. How do you study? What are the best methods? How do you study the Word? Some work better for some than others. One way I have realized that I learn well is from working Crossword Puzzles and Games. This book is so timely for me and my family. I am sure it is for many of you as well. As believers we are required to STAND on almost a daily basis these days. In the last twelve years since we joined our church and began stepping out to Serve, Teach and Lead and be involved in various ministries in the church, we have felt and seen the attacks of the enemy, both personally and upon our children, our grandchildren and our friends, coworkers, and other members of our congregation. We started our business using the phrase ‘STANDING FIRM’ in the name for the same reason Author Marian Jordan Ellis entitled this book ‘STAND‘. We are committed to STAND FIRM in our faith regardless of what trials and persecution come our way. Below I will share with you the following review of Marian Jordan Ellis’ book STAND. Determining favorites is very difficult. There have been many really great ones in the last few years. Here are a few of mine. There are many more.